Could Obama be the Antichrist? Obama’s date of birth was 08041961. If you add all the digits in his birth date together you get 1973. if you subtract the last digit of that from the second digit you get 1673. If you subtract the first digit of that from the third digit you get 1663. Now add the last digit to itself and you have 1666. Now the first digit is telling us there’s only one beast, the Antichrist, so we can ignore that because we already know that. So we are left with one person who is 666. Michele Bachmann: a prophet for our times! Where did I get this crazy idea? I owe it all to a US Congresswoman. 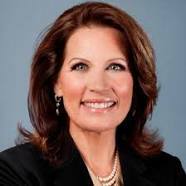 Although I did the calculation myself, I was inspired by Michele Bachmann, who knows we are living in the end times, and that actions of Barack Obama’s are proof! So: Will the Fed start printing dollar bills that have serial numbers ending in 666? What secret building lies at 666 Pennsylvania Avenue? And what secrets can we find hidden in Michele Obama’s date of birth? I am so grateful for this inspiration, I want Michele Bachmann for Prime Minister of Australia. We need somebody down under to wake us up! Australian politicians are mostly boring. A couple of crazy people would make it much more interesting. Previous PostMy vote for the Nobel Peace Prize: the girl who defied the Taliban.Next PostPlain English for non-economists – what happens in a government bond sell off?